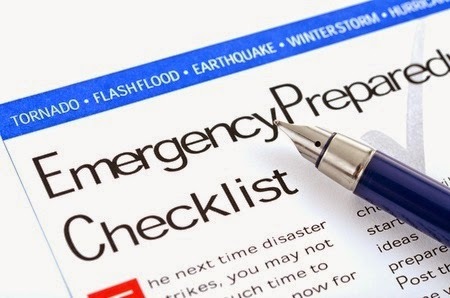 Does your disaster preparedness plan include plans for vital family, medical and small business records? If not, you're missing a critical aspect of disaster preparedness. We are a member of FEMA.gov's Disaster Preparedness Community. We have found some great information in that community that helps the public be better prepared in the event of a disaster. But one aspect of disaster preparedness planning that we constantly see missed is a plan for vital records. Granted, if you have to evacuate your home or business quickly, grabbing records and files is not anywhere near the top of the priority list. However, if your home or office is the place you're storing your records, and it gets destroyed, you'll regret not having a better plan for them. It's difficult and expensive to replace necessary legal, family and business records. The best way to ensure that you have a plan for your vital records in the event of a disaster, is to have a system in place that works for everyday. In this way, you won't even have to think of what to grab at the last minute if something happens. We provide free checklists to help you identify some of the personal records you need to have a plan for. These checklists are invaluable as they not only help you think of records you need to keep safe and readily available but also serve as a record itself when you fill them out. In addition, our Document Retention Checklist includes recommendations on who you may want to share certain records with. So first step, go and download the checklists to help you get started. Secondly, once you've gathered the records together, ensure you put them in a secure, yet easily accessible place so you can grab them quickly if you have to evacuate your home or office. We do partner with Life-In-Case as they offer a good portable solution for paper records on a personal scale. Depending on the amount of records you have, it may not be possible to have a small portable solution. If you use SafelyFiled, the tool provides a way for you to not only store the digital copy of your records, but also provides a way for you to record the location of the original record or physical asset (like gold for example). For the records that you don't need originals of, you can shred the paper after the digital copy has been uploaded. You can always download and print another copy if needed. For records you need to keep originals of, upload a digital copy of them in your account and put the originals in a secure place, safe from a possible disaster, yet accessible if you need to take them with you. Or put originals in a safe deposit box or other secure offsite location. Even if you don't use SafelyFiled for your records, it's a great idea to use some sort of secure cloud storage for records so that you have a copy of them accessible from anywhere. But be very sure the storage system you use is secure and encrypts your information for safe-guarding. What Records Should You Have A Plan For? A list of your prescriptions: name of medication, dosage, pharmacy (SafelyMD, which comes with SafelyFiled, provides a tool for this information as well). You may not be at the location where these records are kept when disaster strikes, so keep that in mind when making disaster preparedness plans for your records.